Yesterday, Mayor Tom Kneeland announced he would not be seeking re-election this November. Instead, he will retire at the end of his term to spend more quality time with his family. “As mayor, I am pleased, humbled and overwhelmed at the progress we’ve made over the last few years to make our city a great place. For the past 25 years, I have proudly served the citizens of Gahanna from my leadership roles on city council to my position as mayor these last four years. I sincerely appreciate the support I have received from our residents and the business community. Click here to read the full story in ThisWeek Community News. The community is invited to attend the upcoming Council Committee meeting on Monday, January 28 at 7 pm at Gahanna City Hall to learn more about an exciting grant opportunity with SWACO and The Recycling Partnership for the purchase of 64-gallon recycling carts. Household containers play a major role in determining the methods in how our residents are serviced, collection costs, the aesthetics of our community, and landfill capacity. Two major goals of our solid waste consortium are to prolong the life of the landfill and reduce collection costs. These goals also align with the City of Gahanna Sustainable 2050 goal to reduce the amount of municipal solid waste per capita disposed of in the landfill. One of the ways that SWACO has identified as being effective in achieving these goals is to have larger standardized collection containers for recycling. By increasing the size of the containers, it increases recycling thus reducing solid waste being transported to the landfill which in turn extends the life of the landfill. 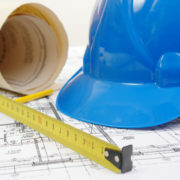 Standardizing the cart creates an even playing field among communities so that collection contractors can standardize their bids and realize efficiencies from using the more modern and standardized collection processes to take advantage of reduced collection costs. 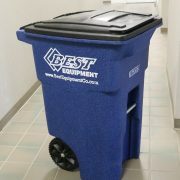 In an effort to increase recycling, SWACO has partnered with the Recycling Partnership to offer its consortium members a one-time grant opportunity to purchase standardized 64-gallon Toter recycling carts at a greatly reduced cost and transition away from our bin based collection practices and implement cart-based recycling. Carts typically cost approximately $45.00 each, however, with this grant opportunity being presented by SWACO and the Recycling Partnership, the City will be able to purchase carts for approximately $15.52 each. We are excited about this opportunity for our City and our residents and look forward to providing more information to the community. For more information about this initiative, contact the Public Service & Engineering Department at 614.342.4005. 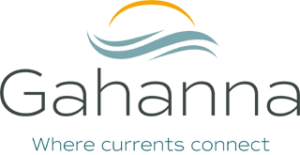 The City of Gahanna is committed to the safety of our residents, businesses, and visitors. Our snow warriors are dedicated to ensuring that our streets are safe and passable for drivers and pedestrians. Per the City’s snow policy and during a plowing event, the main (arterial) streets are plowed first. After the main streets are cleared, plows will work on collector streets (streets that lead to arterials). Following collector streets are residential streets and then courts. Vehicles parked on streets during snow and ice events make it difficult for snow plows to properly clear the streets and present a legitimate hazard. If possible, please refrain from parking on the street during these events. As a reminder, property owners are responsible for clearing their sidewalks (ORC 723.011). 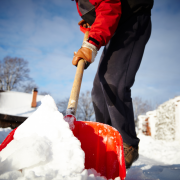 Keeping sidewalks clear helps to ensure the safety of pedestrians crossing these areas. To learn more about the City’s Snow Removal Policy click here. 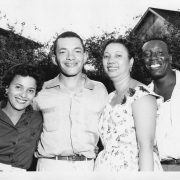 https://www.gahanna.gov/wp-content/uploads/2019/01/shutterstock_243809074.png 1000 1000 Niel Jurist https://www.gahanna.gov/wp-content/uploads/2018/07/gahanna-header-logo-300x92.png Niel Jurist2019-01-17 09:25:132019-01-17 09:48:59Winter is Here! For those unable to attend any of the scheduled open houses concerning the West Side Intersection, we have provided a link to the materials disseminated outlining the proposed alternatives. If you have additional questions or would like to provide feedback, please email the City Engineer Robert Priestas at robert.priestas@gahanna.gov. It’s that time of year to enjoy the fall colors in Gahanna’s beautiful parks and neighborhoods. It’s also a time when residents can help pitch in to keep our streets clean and to prevent flooding by raking up fallen leaves and pine needles. Proper disposal of leaves is through the City’s yard waste collection service that occurs every Monday. Leaves need to be put in a paper bag, or container clearly marked as “Yard Waste,” and placed curbside prior to 6 a.m. Yard waste stickers are available from the Water and Refuse Department in City Hall. The weight of any yard waste container must not exceed 50 pounds. Yard waste may also be dropped off in the yard waste dumpster located behind the Service Complex at 152 Oklahoma Ave. Access to the dumpster is available Mon.-Fri. from 7:30 a.m. to 3:30 p.m.
Keep leaves out of the street and away from storm drain inlets. Leaves left in streets get blown by the wind and carried by rainwater to the nearest storm drain. They form thick mats that prevent water from flowing into the stormwater system, which in turn, causes street flooding. If you use a professional landscape company to maintain your yard, request that leaves blown off sidewalks or driveways are directed back into the yard and not into the street. If you live along a ravine or stream, do not dump leaves over the edge. The leaf piles will form thick mats that will not decompose over the winter. The vegetation under the leaf piles will then die, leading to erosion of the ravine or stream bank. 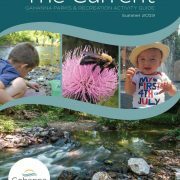 Excessive leaves entering streams pose water quality concerns. Bacteria use dissolved oxygen within the water to decompose organic matter. Increased levels of organic matter from leaves result in depleted oxygen levels and consequently kill fish and other aquatic organisms. Leaves can be added to a composting bin; however, other high nitrogen ingredients may be needed for optimum results (due to the high carbon to nitrogen ratio). Leaves can be mulched with a lawn mower and left to decompose on the lawn. 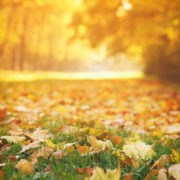 Leaves can also be used as mulch around trees, shrubs, flower bushes and vegetable gardens. They help impede the growth of weeds, retain soil moisture, maintain lower soil temperatures in the summer and protect against temperature fluctuations. Leaves will eventually decompose, adding their nutrients to the soil and improve soil structure. 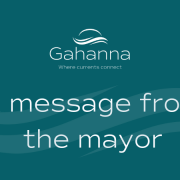 For more information, contact the City of Gahanna Water, Sewer & Refuse Division at 614-342-4440.